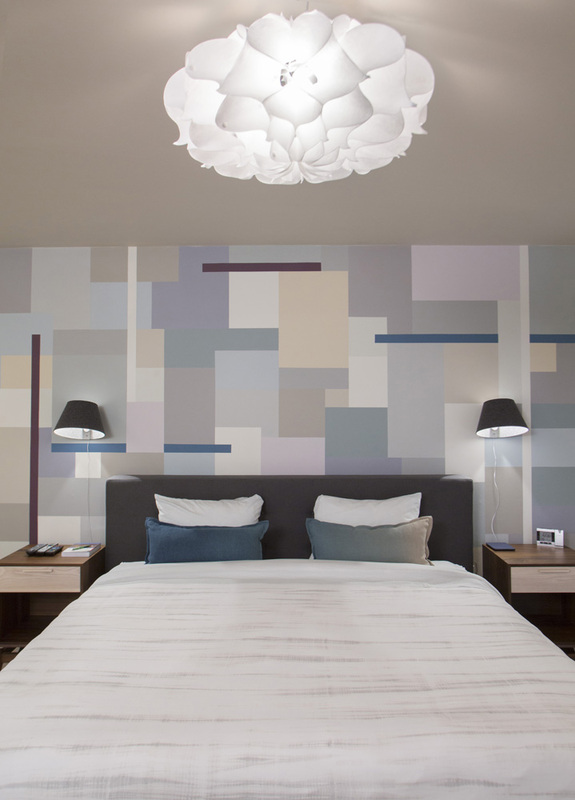 The concept and design of this modern bedroom mural is by Karen Beckwith with mural installation design and execution by Ardis Barrow. Ombre pillows are custom Karen Beckwith Creative and Toni Massery. Photographer and fine art photography by Scott Barrow Photography. Window treatments are custom Karen Beckwith Creative.